Personal Injury; Civil Litigation; Real Agent/Broker Estate Fraud; Complex white collar criminal cases with medical causation issues. If you are looking for a country club lawyer, Jim is not the lawyer you want to represent you. If you want a lawyer who will learn about you, understand you, and know how to tell your story to a jury, then he is the lawyer you want. James Matthew Brown is one of the premier personal injury and trial attorneys in Southern California, with numerous successful trials recovering multimillions in judgments and settlements to his credit. Brown is most often retained by other attorneys to litigate and try many of their complicated and serious injury cases. He has mastered unique and very specialized skills used to discover and tell his client’s stories which allow jurors to emotionally connect with his clients and him. The quality of his character, love of his family and clients contribute mightily to his ability consistently obtain numerous outstanding jury verdicts for the folks he is privileged to represent. Since 1981, Brown has been lead trial counsel and instrumental in obtaining multimillions in verdicts and settlements on behalf of his clients and attorneys that have hired him to try their cases for them. Brown has successfully tried cases involving brain injury, paralysis, orthopedic and/or neurological injury, emotional injury and financial losses. They also include automobile collisions, trip/slip and falls, wrongful death, defective products, burns, medical negligence and amusement park injuries. 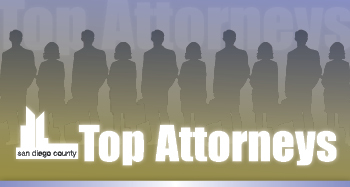 Awards: 2013 CASD Trial Lawyer of the Year;2011 CASD Outstanding Trial Lawyer Award; 2011, 2013 Superlawyers, Personal Injury; 2013, 2012, 2009 San Diego County Top Attorneys-Personal Injury; 2013, 2012, 2011, The National Trial Lawyers TOP 100 Trial Lawyers-Personal Injury. Gerry Spence Trial Lawyers College, faculty trainer; CASD board of directors; SD Inn of Courts, board of directors; trial skills presenter and instructor for CASD and San Diego Inn of Courts.